Cannabis has been used in medicine for 1000s of years, across diverse cultures, illness models and continents. It’s complex chemistry and ubiquitous presence combined with its uses as fibre provider and food means that the cannabis plant has been part of man’s subsistence for millennia. While traditional healing professions and ‘advocates by experience’ have never doubted the medical wonders of cannabis, western medicine has been more than a little sceptical. In the decades after the Second World War any interest in undertaking serious research in its therapeutic potential was easily diminished by criminalisation leading to unenthusiastic funding groups and immense ethical barriers for any work that was not focused on ‘proving’ cannabis was harmful to health. Add to that powerful lobby groups from the alcohol giants and a pharmacy industry that would be less than keen to see a non-patented plant species being recognised as an effective treatment for a wide range of conditions, it has taken more than a while for cannabis to move towards anything resembling legitimacy. The rise and success of cannabis based medicine companies like GW Pharmaceuticals in the UK and a growing body of sound research trials has led to an acceptance in many countries that cannabis, or at least certain preparations or components of cannabis, can improve lives and offer hope to many for whom existing treatments are either ineffective or restricted by unpleasant side effects. From the nascent buds that were the compassion clubs in the US and Canada that I first visited 15 years ago to the expansive dispensaries and US physician recommendations that are rolling out across counters in exchange for buds, butter, BHO and brownies, it seems cannabis as medicine is here to stay and grow. While evidence is growing and is strong for the treatment of some conditions most notably chronic pain, spasticity, nausea and vomiting, especially during chemotherapy and more recently certain variants of childhood epilepsy, there are also unrealistic claims from an industry keen to secure its foothold and expand its reach. The growth of medical marijuana has also led to the development of diverse preparations varying not only in levels of THC and CBD but also in form and accompanying routes of administration. 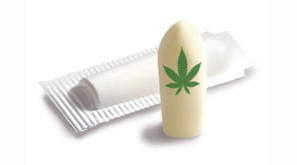 Cannabis suppositories may even find their place into prescribing formularies, given the reliable and consistent bioavailability of this route of use. To date there has been limited research into how widely available non-medical cannabis products are actually used by people with diverse conditions in different countries who don’t have access to experienced clinical personal or dispensary staff. GDS data from over 150,000 cannabis users suggests 3-5% of cannabis users consume solely or mostly for medical reasons. While there is data that suggests adjunctive use of cannabis can reduce the use of prescription opioids and is rarely associated with the development of dependence we simply have not asked enough people with different conditions exactly how they use cannabis and what the pros and cons have been upon their condition as well their use of other treatments. Since my own background is grounded in harm reduction and treating those with cannabis dependence and mental health issues I have sought out the help of 2 medical cannabis experts in putting together this year’s special section on medicinal cannabis. Professor Mike Barnes is a neurology rehabilitation expert from the UK who wrote the All Party Parliamentary Report on Medicinal Marijuana released in Sept 2016 and GDS partner and GDS friend and partner Dr Fernando Caudevilla from Spain who advises patients on medical use of cannabis. GDS2017 will be the biggest study ever of medicinal cannabis use in the real world. At a time of escalating interest, funding, commercialisation and therapeutic claims there’s never been a more important time to ask the experts, people who use cannabis to help manage or cure their medical conditions, what they need. We’ll ask about tolerability, dosing regimens, side effects, product preference and whether you get high and if so is that a happy bonus or an annoying side effect.